South Korean consumer group Citizens United for Consumer Sovereignty this week filed a criminal complaint against Apple CEO Tim Cook, alleging the company's decision to throttle iPhones with depleted batteries amounts to destruction of property and fraud. The South Korean action arrives amidst a growing pile of U.S. class-action lawsuits — numbered at nearly 50 — and government investigations relating to the iPhone slowdown controversy, reports Reuters. Like similar filings stateside and abroad, the Citizens United for Consumer Sovereignty complaint takes issue with Apple's release of iOS 10.2.1 in 2016, a software update that included a CPU throttling feature for iPhone 6, 6s and SE models. Along with Thursday's filing, the group represents plaintiffs in a separate damages suit leveled against Apple in January. "For the sake of its loyal fans, Apple has to take responsibility over the slowing iPhones," said Park Soon-jang, an official at the South Korean advocacy group. It is unclear whether the complaint will spur government officials into action, as the Seoul Central District Prosecutors' Office declined to comment on the matter, the report said. Apple in a statement last month said the update was designed to prevent older iPhones from randomly shutting down, a potential result of operating hardware with degraded battery cells. However, a number of users cried foul, saying it Apple is in the wrong for intentionally slowing down hardware without an owner's knowledge. In December, Apple admitted to slowing down certain iPhones, explaining that the iOS feature is intended "to smooth out the instantaneous peaks only when needed to prevent the device from unexpectedly shutting down during these conditions." The company added that similar preventative measures have been applied to iPhone 7 and 7 Plus with the release of iOS 11.2, and will further be implemented in future products. 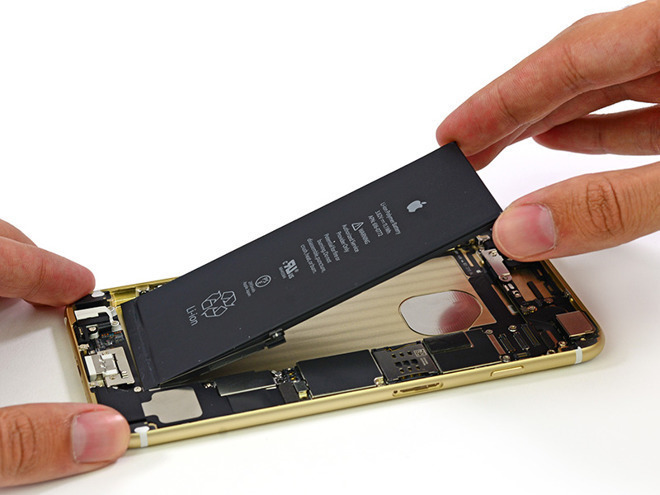 After customer blowback, Apple issued an apology and announced an upcoming version of iOS will allow users to determine whether the health of their battery is impacting processor performance. On Wednesday, Cook revealed the pending software update will also let users disable the CPU throttling feature altogether. Beyond legal action from disgruntled consumers, Apple faces multiple government inquiries into its handling of iPhone battery issues. France's anti-fraud agency initiated an investigation into so-called planned obsolescence earlier this month, while U.S. lawmakers are pursuing similar lines of questioning. Most recently, Italy on Thursday launched a probe investigating whether Apple and Samsung use software updates to intentionally slow down their respective smartphones, forcing consumers to upgrade to newer handsets.